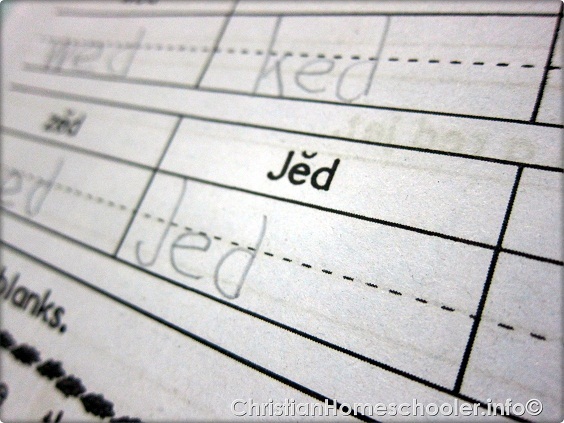 Jed could not believe his eyes when he was doing one of his routines in our class. His name was on his PACE! He was giddy through and through! 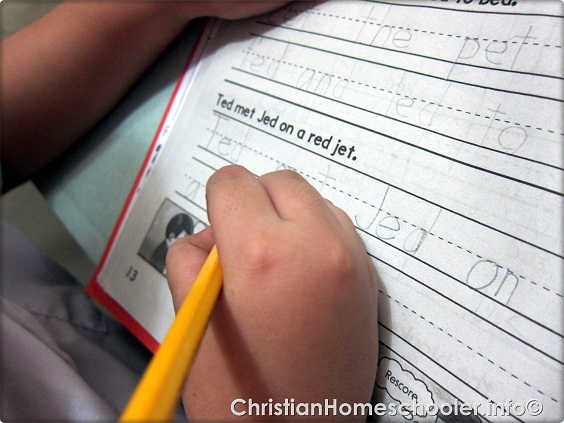 The writing routine that is incorporated in his five subjects helps a great deal in improving his fine motor skills. 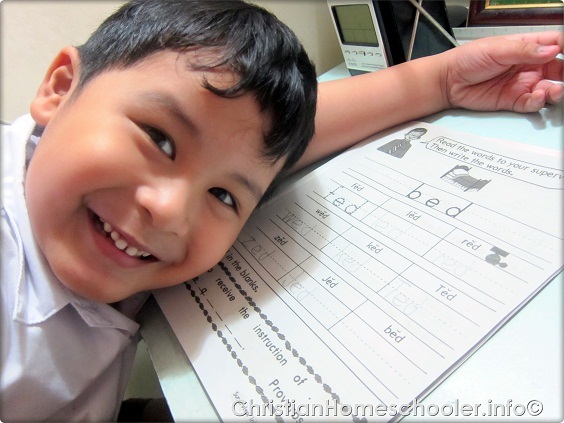 This writing exercise he did yesterday coincided with his recent fascination over things that rhyme.